Cloud-based UC and Contact Centre solutions for the global enterprise. Think conferencing, collaboration, omnichannel interaction handling and more, all in the cloud, on a monthly subscription rate. 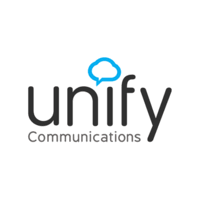 Unify Communications is a specialist communications technology integrator. We deliver next generation Connectivity, Unified Communications and Contact Centre Technology to organisations looking to consolidate their communications platforms. With access to a global infrastructure of data centres, we can help businesses to run all their communications in the cloud, whilst delivering on-demand scalability and built-in redundancy for business continuity.